Megan belongs to the Manresa Council Columbiettes in Staten Island. Each year they have a charity tea which raises money for local charities. This year, Megan once again used the Cricut to make the favors to help decorate the tables. Each year she picks a different theme- this year was butterflies. 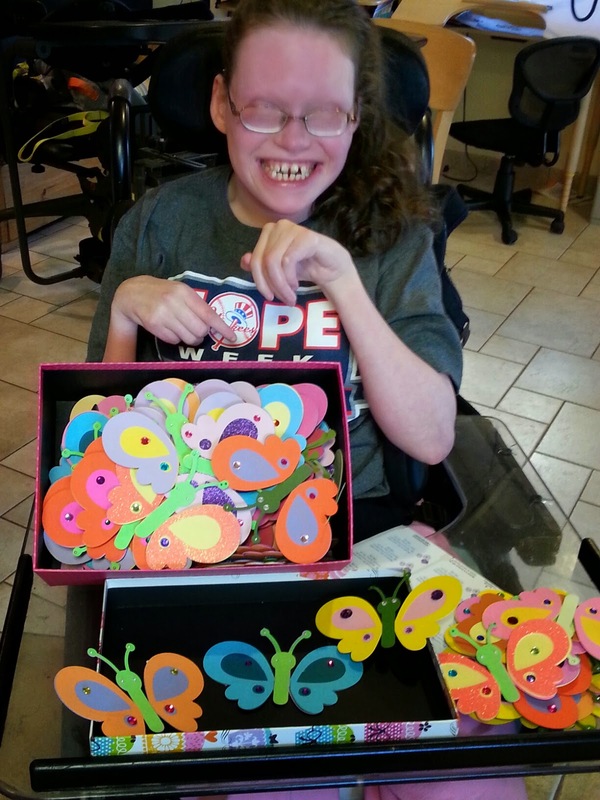 She started in January and made 117 butterflies- each with several layers. She then used lots and lots of bling to finish the butterflies. welcomes Megan Ajello's Lemonade Stand. This year all funds go to the Wounded Warriors. Megan Ajello is a New York Yankee HOPE week honoree - 2011. Megan below is using the Explore to make this card above.